The video game landscape is covered in competitive gaming. Shacknews would like to offer an overview of what to watch for this coming weekend. This weekend, the Overwatch League regular season comes to an end. For this weekend, the Overwatch League regular season comes to a close, while Call of Duty hits Anaheim and the ELEAGUE Street Fighter V Invitational continues. The Overwatch League has reached the conclusion of its regular season. Five playoff spots have already been decided heading into Friday's play, which makes the next two days quite interesting. The last playoff spot is up for grabs and the Houston Outlaws, Philadelphia Fusion, and Seoul Dynasty will battle to the bitter end for that last chance to make the League's first postseason. However, there's also the Stage 4 Playoffs going down this Sunday, which means the Dallas Fuel have every reason to play spoiler. The Fuel sit between the Outlaws and Fusion in 5th place in the Stage 4 standings and with $125,000 on the line this weekend, they're not about to lay down for anyone. 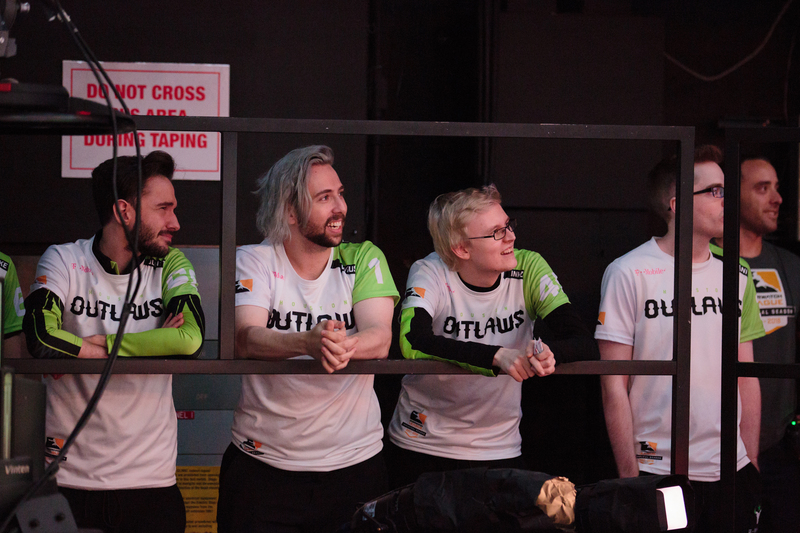 Unfortunately, Dallas draws the Los Angeles Valiant today, who ride in with a perfect Stage 4 record. Who will make the Stage 4 Playoffs? Who will make the postseason? There's a lot to watch out for in this final weekend of the Overwatch League's first regular season. Just an hour away from E3, which just concluded, Activision and MLG are getting together for the next big Call of Duty major down in Anaheim. With $200,000 on the line, the 16 teams flying down will all be ready to play and ready to usher in the home stretch for CoD: WWII esports. Stage 2 of the CWL has belonged to Rise Nation. They come into the event with a 6-1 record, only just recently dropping their first game. However, they bounced back quickly by waxing OpTic Gaming, restoring their momentum and entering the weekend as the favorites to win. Rise now enters a pool that includes Team Kaliber, Epsilon, and Luminosity and are expected to cruise through the competition. While competition is the name of the game, Saturday will also see a friendly exhibition play out in the form of the CWL All-Star Game, with eight of the top players engaging in a 4v4 Search & Destroy session to raise awareness for Call of Duty Endowment, helping unemployed veterans find high-value jobs after completing their service. The ELEAGUE Street Fighter V Invitational continues, with a Group C filled with North American hopefuls. Four American players will face off, including 2016 Capcom Cup Champion Du "NuckleDu" Dang, Justin Wong, Bryant "Smug" Huggins, and Darryl "SnakeEyez" Lewis. But the X-factor could come from Europe in the form of Benjamin "Problem X" Simon. Followers of the game will remember this U.K. native making a lot of noise at December's Capcom Cup with his Top 8 finish. He's racked up more Top 8s since then, competing at events like Texas Showdown, Toryuken, and Brussels Challenge and still stands as the best Bison player in the world. “Watch out for Problem X. He’s one of the strongest European players and should be considered one of the favorites to make it to the Playoffs from this group,” said ELEAGUE analyst Steve "Tasty Steve" Scott, seen here taking a superkick from the Young Bucks. Thomas "Brolynho" Proenca is the last of the Group C field, representing Brazil and also representing the strongest of the Latin American region. Many people are sleeping on him, including some of the ELEAGUE analysts, so look for him to try and make a positive showing and prove his doubters wrong.